BMW wants to convince the world that there’s nothing to fear from autonomous cars. Or rather, living/breathing human beings have nothing to fear from such technology. As far as creatures from the afterlife are concerned, however, all bets are off. That’s the hook from this slightly humorous video BMW recently released, promoting the automaker’s latest advancements in the not-so-spooky world of autonomous vehicle tech. 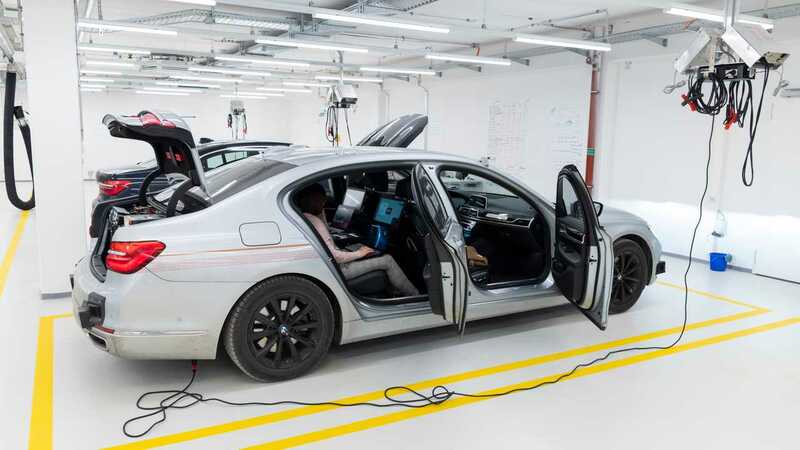 The next step is called Data-Driven Development (D3 for short), and it basically means BMW is on a mission to gather information on real-world driving conditions around the world – a lot of it. Specifically, a test fleet of autonomous Bimmers will collect approximately 5 million kilometers ( 3.1 million miles) of on-road data, then generate another 240 million kilometers (150 million miles) of simulated data based on the real-world information. For computer nerds, BMW’s D3 system will collect more than 1.5 terabytes of data every day. It has a storage capacity of over 230 petabytes of information, and it’s also located near the company’s Autonomous Driving Campus for easy access by researchers and engineers working there. So yeah, a lot of information. This is all required for BMW to keep its promise of Level 3 autonomous driving in its production-spec iNext crossover SUV, which is currently slated to go on sale at the end of 2021. Level 3 denotes a vehicle that, in certain situations such as a limited-access highway, can take full control of driving duties and handle most aspects of vehicle operation. The driver can be hands-off behind the wheel but must be alert and ready to take control should the system prompt the driver to do so. Some current systems such as Tesla’s Autopilot ride the line between Level 2 and Level 3, but BMW’s setup seeks full-on Level 3 capability. Unfortunately, that means drivers will still be subjected to the potential terrors of encountering a ghost on a dark, empty street for the near future. Fully automated Level 5 cars are likely still years or even decades away.